One of the first glimpses we were given of Sharon Van Etten’s terrific Best of 2014 album Are We There was exactly one year ago via the track Tarifa (check our post our HERE to see an unplugged version and Van Etten’s explanation of the song). Last night SVE brought matters full circle by performing Tarifa on Jimmy Kimmel Live. Watch below as SVE and fine band perform Tarifa and Break Me. She’s one of our best, as is Are We There. We look forward to catching SVE at the Hardly Strictly Bluegrass Festival on October 3rd. 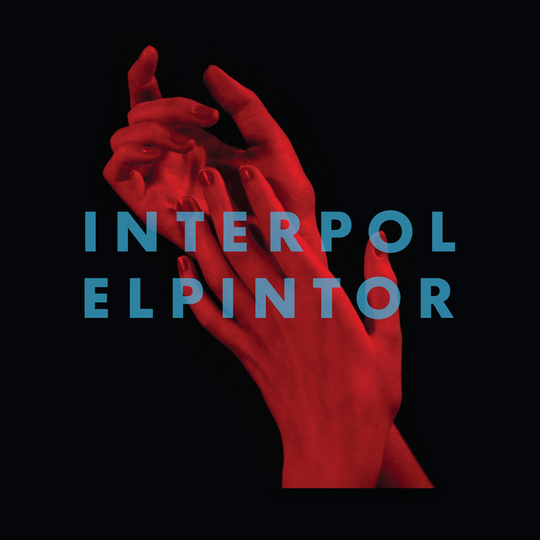 It’s been four years since Interpol released its last album, but on September 9th the band will release their new, anagrammatically-entitled album El Pintor. Like many, we’ve followed this band and their alt-J(oy Division) musical sounds since the early millennium. We admit, however, to losing touch with the band a bit over time. Well, that time is over. We’ve been listening to as much of El Pintor as possible and find ourselves hopelessly smitten with the band’s new songs (we’ll have a review of the album near-term). Earlier this summer we were thrilled to hear Interpol’s new song All The Rage Back Home, and watch its atmospheric official video (see below) with its black-and-white embellished surf frames. But as is often the case, live the band takes the song to another level entirely. In support, the band recently ventured into the historic Mack Sennett Studios in Silver Lake to perform new songs from the imminent album plus some older favorites. The evening was part of the streamable NPR’s First Listen Live. Watch below as vocalist Paul Banks, tremolo-maestro guitarist Daniel Kessler and drummer Sam Fogerino nail the song down and lift it up beyond the studio version. We particularly love keyboardist Brandon Curtis’s added backing vocals and MC-like inflections (hey hey hey hey!). The song is all the rage at Chez Lefort and is our Song of the Week. 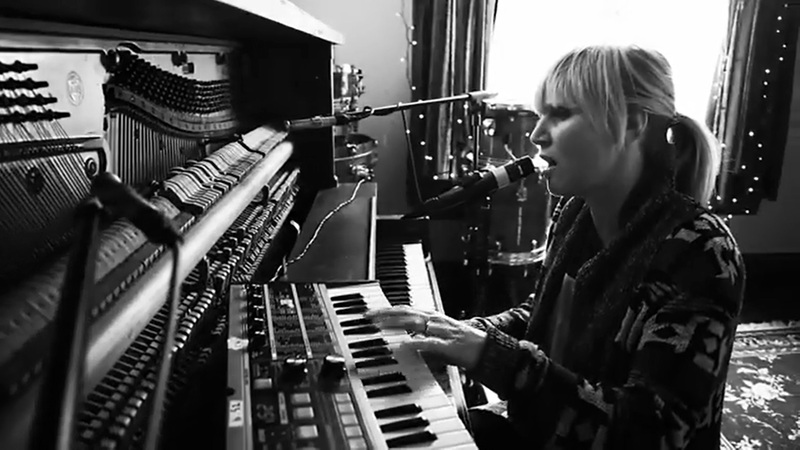 Watch/listen to the full session via KCRW below or HERE. The song’s lyrics are at bottom. The band is out on tour and coming to Cali next month–check out the dates HERE. And she swore love is never gone, so easily. Be tame, you won’t meet your mate inside. of my 18 summers, alone. It’s all the rage back home. My head abounds, oh the feeling. just say you love me, alone. Bob Mould and Husker Du provided seminal punk rock gems when we needed them most back in the day. We last caught Mould live at the Hardly Strictly Bluegrass Festival in 2012 when he captivated the crowd while playing solo electric guitar (yep). 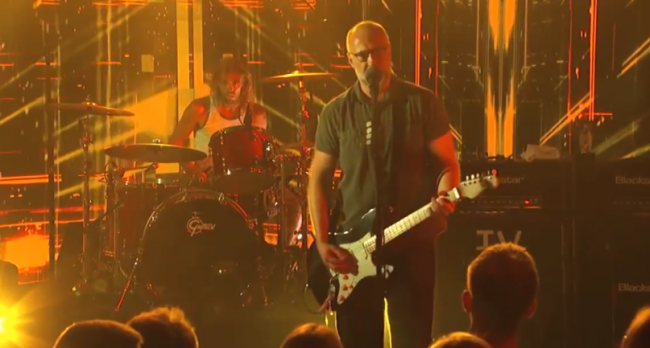 Last night Mould showed up on Jimmy Kimmel Live, and regaled the lively audience with songs from his most recent album Beauty & Ruin. Foo Fighters drummer Taylor Hawkins ably filled in for the absent Jon Wurster. Watch below as Mould and crew thrash out their winning takes on The War (off the recent album) and Hey Mr. Grey. Now THAT’S our kind of war. Mould is out on tour and you can check the upcoming dates HERE. Conor Oberst has written some of the best songs of his generation. Amongst the touchstones is his ever-affecting and oft-performed Lua. 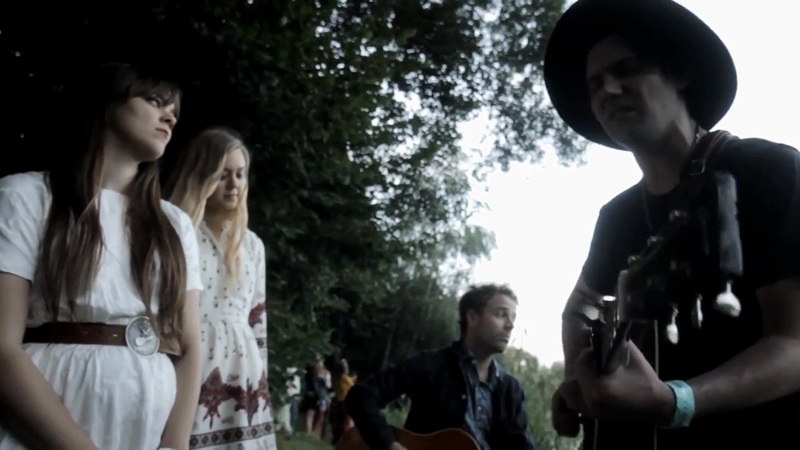 Watch below a recent live version captured by Cardinal Sessions at the Haldern Pop Festival in which Oberst is supported superbly by Dawes’ Taylor Goldsmith on guitar and the First Aid Kit sisters. We’ve seen Gillian Welch and Dave Rawlings perform the song with Oberst several times (always bringing down the house and a filling up some eyes), but this version is similarly winning. Watch as Goldsmith does his own fine take on Rawlings’-esque inflections and First Aid Kit adds a pop/tart touch to the vocals. Superb. If you like what you hear, you might want to show up at the Hardly Strictly Bluegrass Festival in San Francisco on Friday, October 3rd when Oberst will curate a stage featuring Goldsmith’s Dawes, Sharon Van Etten (if anyone was ever meant to sing Lua, it’s SVE), Waxahatchee, The Good Life and Jonathan Wilson. Oberst is out on tour now with Dawes and the dates can be found HERE. We haven’t heard from one of our favorite pop duos, Mates of State, since their much-hailed 2011 album Mountaintops. But yesterday, “in honor of giving up twerking” (according to their label, Barsuk), the married duo released a superb, tongue-in-cheek (s0 to speak) cover of Miley Cyrus’s song We Can’t Stop, all as recorded live in their living room. Watch below as the duo’s harmonies once again mesh well (and they toss in a snippet from Frozen at the 3:11 mark). Love it. We hope the duo also has a new album in the works, but for now they just announced adding a series of tour dates, which you can find HERE. 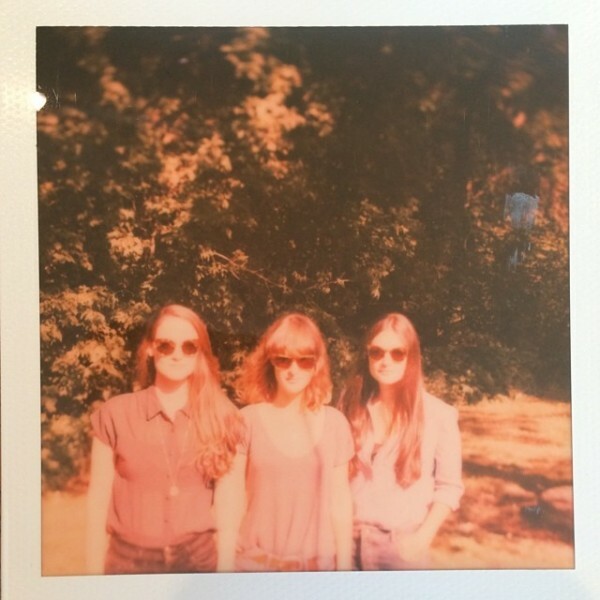 We have written repeatedly about the English sister-group The Staves. Like many we have been anxiously awaiting the group’s second album, which is being produced by Bon Iver’s Justin Vernon. 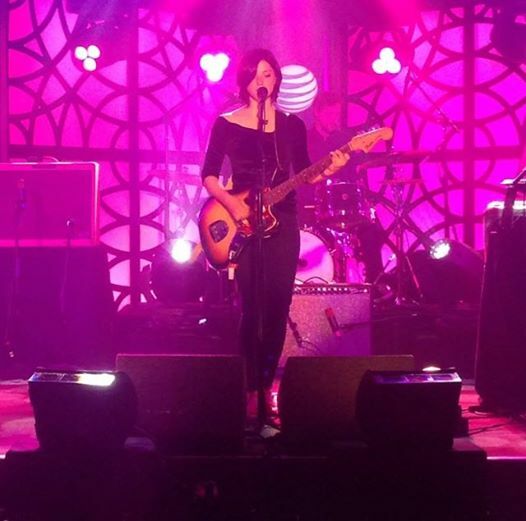 After a hiatus, The Staves appear to be back in Wisconsin (we assume with Vernon–see the capture below) working on the album anew. We’ll hope for its release near-term. In the meantime, KDHX has just released a harmonic vignette of the sistren last year performing In The Long Run (off of their debut album). Check it out below. Beauty. Regrets, we’ve had a few more. At the end of our recently declared Spoon Week (the first week in August in honor of the release of their fantastic new album, They Want My Soul), Spoon played at the Hollywood Forever Cemetery. We tried our best to make it, but the stars and spoons just would not align that night. This morning the band thankfully highlighted a fan video of one of the songs from that set, I Just Don’t Understand, with opener Dale Watson aiding and abetting on vocals and guitar. Check it out below, and while you’re at it, check out our favorite song, Inside Out, and the grinding Do You, all off the new album. We won’t miss ’em the next time they come around. Toad the Wet Sprocket’s most recent album, New Constellation, is their first independent release since their first album way back when. Yesterday (via Paste) the band released their first music video in 17 years for their song California Wasted off that album. The video by Matthew Ward is a paean to Santa Barbara (aka California) and our failure to notice/appreciate that which surrounds us. A great reminder. To further help you avoid/notice, check out the video below (featuring, amongst other things, the Presidio, Alice Keck Park Park, and Jeff Shelton’s Vera Cruz House). And then venture outside without your device and see what awaits. Toad is currently out out on tour, and you can see the dates and check out the song’s lyrics below the video. We’ll admit: life is oft-times wasted on us. “No time, where did the time go? 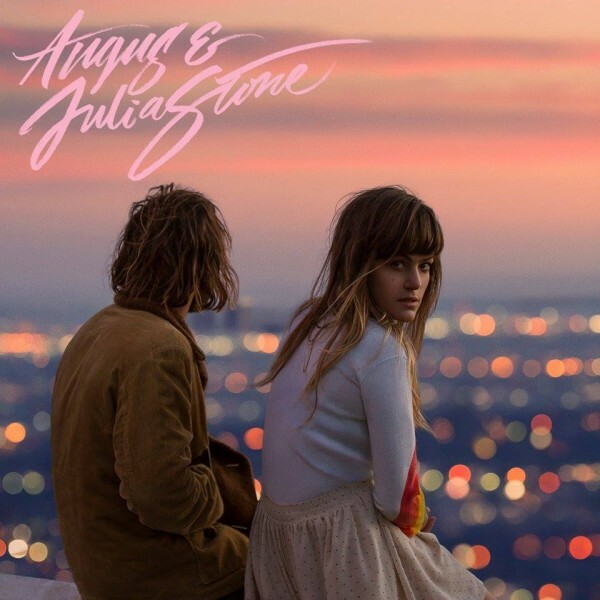 We first became fans of siblings Angus & Julia Stone after they released their subtly infectious album Down The Way in 2010 and its jet-fueled song Big Jet Plane, which was one of our Best Songs of 2010. We have only heard smatterings from them until this month when they released their eponymous new Rick Rubin-produced album on American Recordings. 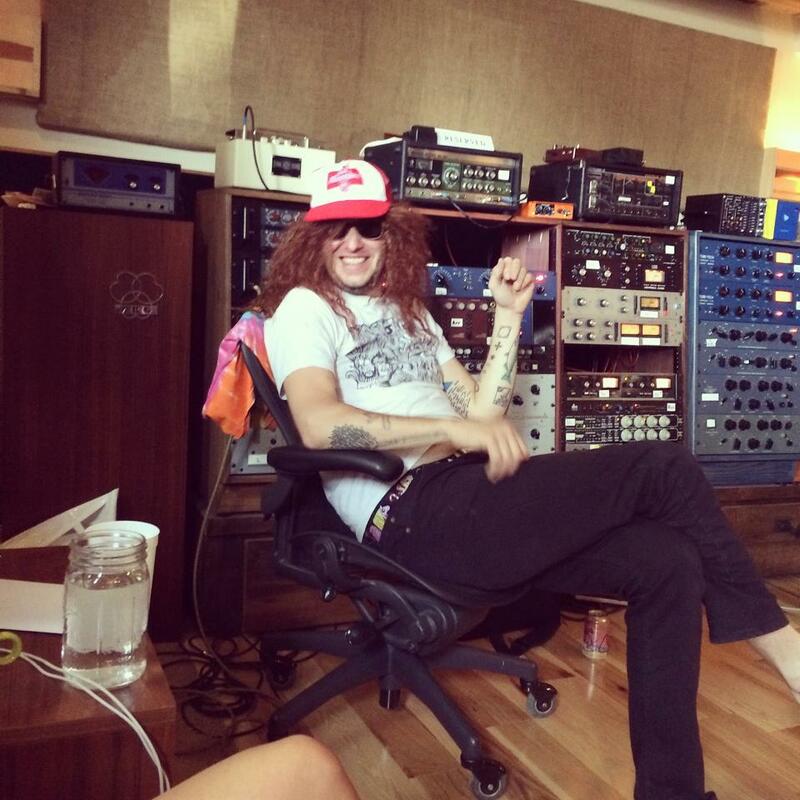 Evidently, Rubin had to coax the siblings back into the studio to record. Thankfully, Rubin was successful on several fronts. 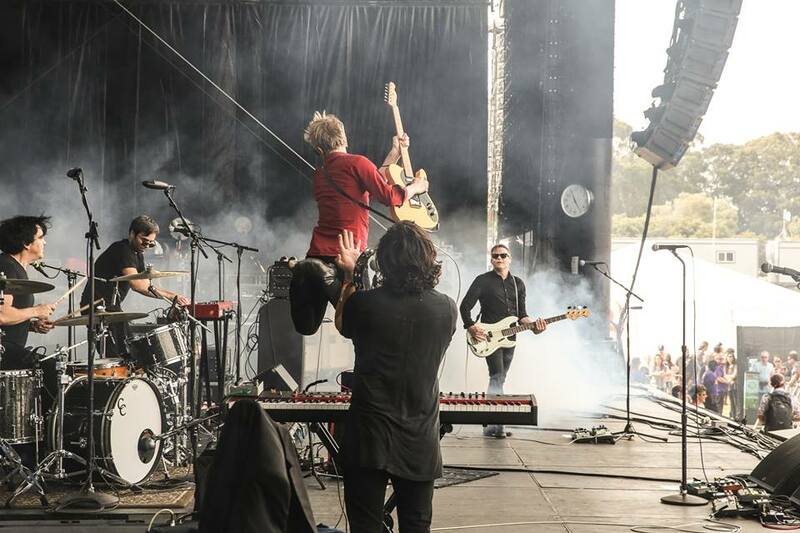 The album, which has already attained Number 1 status in their native Australia and in France, is now available HERE, HERE, HERE and elsewhere. To get a feel for the new album, check out below the recently premiered video for their driving/loping single A Heartbreak, followed by an outstanding live performance of Heart Beats Slow (replete with perfect, sibling-abetted harmonies), and finally the breezy Grizzly Bear audio track. All three superb songs can be found on the new album. Angus & Julia Stone are currently on a worldwide tour that will bring them to North America next month. Check the dates at bottom. 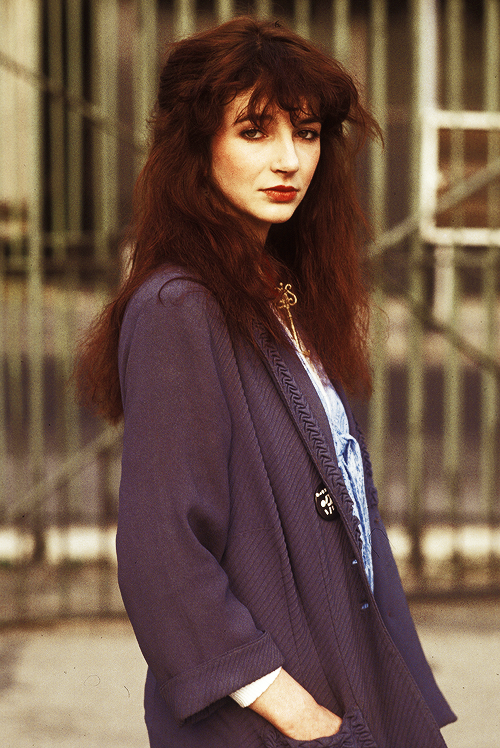 Kate Bush is a uniquely talented artist and a seminal influence in modern music. She has given us some of the best songs of her generation, including Running Up That Hill, The Man With The Child in His Eyes, and her Peter Gabriel-collaboration Don’t Give Up. The BBC recently produced a captivating hour-long documentary (Running Up That Hill) on Ms. Bush in which various heavy hitters of rock sing the praise of the singer. In addition there’s great vintage footage of various influencers on Bush including David Bowie. Check it out below while you can.